Indian equity markets remained subdued over the last month with the broader markets gradually declining as USD-INR hit new highs and crude prices inched up. Rupee depreciated to Rs.72.50/$ for the first time on 10th September 2018. With the NIFTY/SENSEX move being driven by top 10 stocks, there has been a large gap created with mid-cap performance. Thus going ahead we feel that this gap in performance will reduce gradually. With less than a year to go for general elections, markets movements may be subdued looking for the next political cue. FIIs which turned net buyers in July 2018 to the tune of Rs.490 cr again turned net sellers in August to the tune of Rs.2820 cr. With crude & INR-USD moving up outflows have continued in September with net outflows of Rs.340 cr up to 11th September 2018. The domestic MF industry’s AUM in August 2018 stood at Rs 25.2 lakh cr, a yoy growth of 25%. Total equity inflow fell 11.4% month-on-month to Rs 8,375 cr in August. The mutual fund industry, however, witnessed a total inflow of Rs 1.74 lakh cr—the highest since 2011. The liquid/money market category contributed the most to the total inflow into mutual funds. We have seen quite a few NFOs, where units were allotted in August. A significant share of the equity inflows has come through these NFOs. International gold prices declined 2.2% in August, representing its fifth consecutive monthly decline—the longest such streak in more than five years, falling below $1200/oz. Investors remained on the sidelines amid expectations of a US interest rate hike this month and on fears of an escalation in the US-China trade war. Gold prices have inched up in India marginally due to a depreciating rupee. Oil prices have increased after US operators suspended drilling for production and impending sanctions on Iran (set to be implemented by US from November) are expected to result in a supply crunch in the markets. In the 1st week of September, the number of US oil rigs dropped by two, bringing the total count to 860. The U.S. government does not want to push up oil prices, which could depress economic activity or even trigger a slowdown in global growth. U.S. Energy Secretary Rick Perry met Saudi Energy Minister Khalid al-Falih & Russian Energy Minister Alexander Novak as the Trump administration encouraged big oil-producing countries to keep output high. The USA and China have activated additional tariffs on $50bn of each other’s goods since July as trade friction between the world’s two biggest economies worsened. The US President said he would levy additional taxes on $267bn of goods over and above planned tariffs on $200bn of Chinese products. The latest talks held on 23rd August also were not fruitful. Beijing pledged an immediate response to any fresh trade measures. In recent months the EU and Japan have joined forces with the US in WTO complaints against “forced technology transfers” in China through mandatory joint venture structures with local partners. They have complained that no country should require or pressure technology transfer from foreign companies to domestic companies through the use of joint venture requirements, foreign equity limitations, administrative review and licensing processes. Q1 FY19 GDP accelerated to 8.2% vs. 7.7% in 4Q FY18. Higher growth is explained entirely by improved consumption demand and lower subtraction of net exports from overall GDP. GVA growth rose to 8.0% against 7.6% in previous quarter. Agriculture and Industrial output picked up while services moderated, but remained above 7%. Wholesale price-index (WPI) inflation eased to 4.53% in August from 5.09% in July due to lower food prices and primary goods. Primary articles, which accounts for more than a fifth of WPI index, witnessed a deflation, falling to (0.15%) from 1.73% in July. Food articles witnessed a negative growth of (2.25%) in August from (2.16%) a month ago. Fuel and power inflation, which has a weightage of 13.15% in WPI, grew at 17.73% in August from 18.10% a month ago. India’s consumer price index (CPI) inflation decreased to 3.69% in August from 4.17% in July due to easing food prices. The core CPI inflation declined to 5.90% in August compared with 6.29% in July. Food inflation eased to 0.85% in August from 1.73% in July. CPI inflation of fuel and light increased to 8.47% in August due to rising crude prices. The Nikkei Manufacturing Purchasing Managers’ Index, fell to a three-month low of 51.7 from July’s 52.3. The PMI has not been below the 50-mark which separates growth from contraction since July 2017 when GST was implemented. The Nikkei India Services Business Activity Index, fell from July’s peak of 54.2 to 51.5 in August owing to weakest growth in new work in three months. Nikkei India Composite PMI Output Index fell to 51.9 in August from July’s 21-month high of 54.1, owing to weaker growth in both the manufacturing and service sectors. Index of industrial production (IIP) grew at 6.6% in July on the back of good performance by the manufacturing sector and higher off-take of capital goods and consumer durables. The IIP growth for June was revised downwards to 6.8% from the provisional estimate of 7% released last month. The manufacturing sector recorded 7% growth in July as against a contraction of 0.1% in the same month a year ago. The consumer durables sector recorded an impressive 14.4% growth in July against a dip of 2.4% a year ago. Capital goods production grew by 3% in July as against decline of 1.1% a year ago. In terms of industries, 22 out of 23 industry groups in the manufacturing sector showed positive growth during July 2018. According to SIAM, passenger vehicle (PV) sales in India dropped for the second consecutive month by 2.46% in August over a year-ago period. The decline was due to a high base effect from GST implementation last year and partial impact of floods in Kerala. Two-wheeler sales rose 2.91% to 19,46,811 units. Motorcycle sales grew 6.18% to 12,06,512 units in August but scooter sales fell marginally to 6,69,416 units. Despite revision in axle load norms, commercial vehicles continued their strong show with sales increasing 29.56% to 84,668 units in August. The Goods and Services Tax (GST) revenue dipped marginally by 2.6% in August to ₹93,960 cr as the tax cuts on consumer goods announced in July started telling on revenue receipts. In July, the combined GST collection was ₹96,483 cr and in June, ₹95,610 cr. An official statement said one of the reasons for the dip in collections is the probable postponement of purchase decisions by consumers who awaited the rate cuts to become effective in the supply chain. As per IMD, August recorded 92% of the Long Period Average (LPA) rainfall after 95% in June and 94% in July. This was largely on deficient rainfall in east and northeast India. The overall monsoon deficiency stands at -7%. The highest deficiency (-24%) was in east and northeast India. The south peninsula received 2% more rains than normal, while the central India and northwest India recorded -3 and -2% of deficit, respectively. Thus although the figures reflected a below normal rainfall, other than east/northeast it has been good in the rest of the country. Although the frontline indexes- NIFTY & SENSEX has performed well this year driven by surge in prices of major large cap stocks, performance down the capitalization curve has been poor with mid and small cap down significantly this year. Rally in equity indices over the last couple of months has come amidst macro headwinds (increasing trade deficit, high commodity prices, tightening liquidity, rising cost of funds, fiscal pressure/deficit) and upcoming political uncertainty. Although we remain positive on long-term structural story as the reforms implemented (GST, IBC, RERA) in the last couple of years should start paying off, near-term movement could be subdued given the high valuation of frontline stocks. Thus stock selection will be crucial over the next year. FY19 growth is expected to be around 7.5% as per experts. 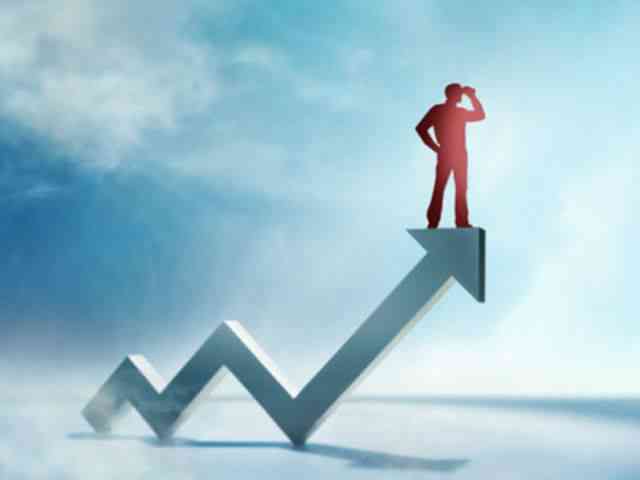 Looking ahead, higher crude and other commodity prices, depreciating rupee, widening of trade deficit and monetary tightening pose risks to the above growth outlook, while government infrastructure push, fading away of GST-related disruptions and the seeping in of the productivity benefits, rising global growth and improved business sentiments should boost growth. SIP inflows remain strong but FII outflows along with a depreciating rupee remain a concern. Increasing crude prices along with that is likely to affect the fiscal math, as inflation increases, and 10-year g-sec surges above 8% on expectations of higher fiscal deficit. A third consecutive rate hike by RBI seems to be around the corner given the current situation. Though NIFTY remain above 11k, it has largely been due to a few stocks & broader markets, especially mid-cap stocks remain subdued. This is providing a good opportunity to enter quality mid caps at reasonable valuations but one has to be patient & hold on for more than a year (at least till next year elections). One should accumulate good quality companies where there is a long term structural story in place.